The term renewable energy is often lobbied as the future of energy—energy that will save the Earth and stop Climate Change from destroying our atmosphere. Those opposed to fossil fuels point to renewable energy sources as the clear alternative, claiming they’re safer for the environment. However, switching to renewable energy sources from fossil fuels isn’t as easy as some might think or want to believe. While limiting carbon emissions is a worthy endeavor, it’s important to understand the costs and risks, as well as the less obvious impacts associated with producing renewable energies and infrastructure. More information about renewable energy will allow us, as a community, to make informed decisions regarding the potential use of fossil fuels and renewable energy in the future. According to the U.S. Energy Information Administration (EIA), renewable energy sources distinguish themselves from fossil fuels, whose amounts are finite, by their capacity to regenerate, or renew.Renewable energy sources are commonly separated into five different sources: Biomass, Hydropower, Geothermal, Wind, andSolar.Biomass is an energy source collected over a few months to years, with straw or wood being the most prominent sources.The most common type of hydropower connects a power plant near a river. The power plant has a dam to store water and uses turbines to create electricity from a generator.Wind power is also created through turbines, converting the kinetic energy from wind into mechanical power which a generator then converts into electricity.Geothermal energy uses heat pumps to tap into the natural heat beneath the Earth’s surface.Most geothermal energy is used for heating and cooling homes by moving hot air in and out of buildings.Solar energy is most commonly harnessed with photovoltaics (often referred to as solar panels), which harness the energy from the sun through semiconductors to generate electricity.The use of renewable energies continues to grow throughout the world as countries grapple with the environmental impact of fossil fuels. In 2016, renewable energy accounted for about 10% of the total energy used in the United States.However, in the US, renewable energy is more expensive to produce and is often located in remote areas where access is limited. While many people are most familiar with solar energy, given the popularity of solar panels, hydropower is actually the most commonly used renewable energy source in the US, at over 2,770 trillion British Ton Units (BTU) in 2017. By contrast, wind represented 2,347 trillion BTU, and solar only 775 trillion BTU.However, by the end of 2018 the EIA predicts that wind will overtake hydropower as the most used renewable energy source. The renewable energy job market has drastically increased in the last decade for the United States. The U.S. Department of Energy reported that “over 3.3 million Americans were directly employed by the clean energy industry in 2016.”By comparison, the Department of Energy “estimated just under 3 million people were directly employed by the fossil fuel industry in 2016.”The renewable energy job sector (not including appliance maintenance jobs such as air conditioning and heating) accounted for over 675,000 Americans,the largest industry for renewable energy being solar—which provided 373,807 jobs in 2016. While the job market for renewable energy in the United States continues to expand as research and development of technology improves the process of renewable energy generation, renewable energy does present some risks that are often overlooked. Understanding the drawbacks for some of the more common types of renewable energy is important in discussions concerning a renewable energy system for the U.S. and specifically for the Fort Berthold Reservation. Wind power, for example, is one of the cleanest and most sustainable forms of energy production, but drawbacks include land use as well as noise and public health concerns.A large wind facility uses between 30 and 141 acres of land during construction per megawatt of power capacity depending on the location.The sound of the turbine blades in operation and the visual impact on the landscape are common community concerns. While research has shown wind turbines have no direct impact on human health, companies must still consider these concerns regarding the placement of wind farms. Solar energy also raises some environmental concerns, specifically through the use of hazardous materials including hydrochloric, sulfuric, and nitric acids during the construction phase of solar panels or thin-film cells.Other impacts not often considered include the transportation of these materials and installation, with estimates of emissions between 0.07 and 0.18 pounds of carbon dioxide equivalent per kilowatt-hour. These numbers, however, are still far lower than natural gas and coal, with ranges between 0.6 and 3.6 pounds of carbon dioxide per kilowatt-hour. Renewable energy may indeed be the future of energy across the globe, and could add resilience and diversity to the electric grid, increasing sustainability and sovereignty. 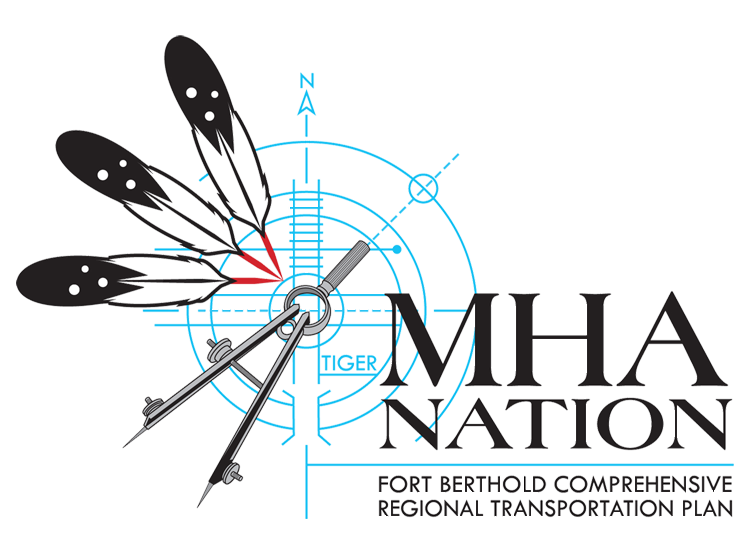 However, for the Fort Berthold Reservation, coal and oil have been energy staples for a long time. Looking at renewable energies, it’s easy to see benefits to the environment, but how this would impact our daily lives is something that needs to be considered as well. In future blog posts, we will discuss some of the limitations in renewable energy infrastructure and production, specifically the cost needed to implement an overhaul of the system, to provide a fuller picture of the cost of renewable energy and ensure the community has the information to make informed decisions and plan for the future. Being informed about the benefits anddownsides of renewable energies is important in order to make smart decisions that will affect our community and future generations.